TO CONTINUE YOUR COURSE ENROLLMENT PLEASE CLICK ON THE "REGISTER" LINK ON THE LEFT OF THIS PAGE. <<< Note: If you have already registered please ignore this message. The Heartsaver Pediatric First Aid CPR AED Course is designed to meet the regulatory requirements for child care workers in all 50 United States. It teaches child care providers and others to respond to and manage illnesses and injuries in a child or infant in the first few minutes until professional help arrives. 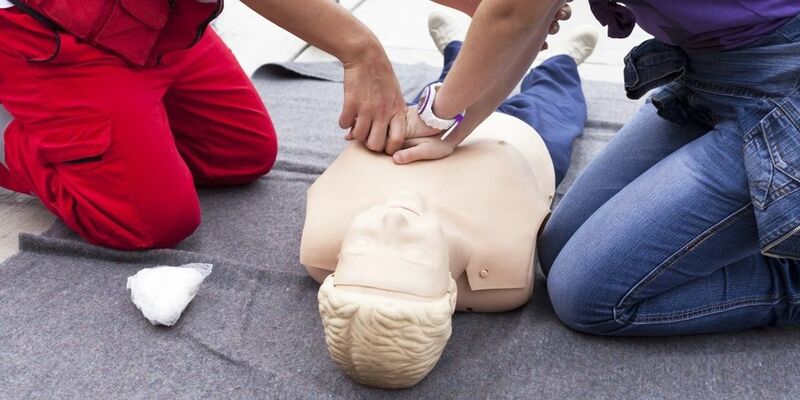 The course covers the Four Steps of Pediatric First Aid and modules in Pediatric First Aid, Child/Infant/adult CPR AED and optional modules covering Asthma Care Training. The modular classroom-based course is designed to be flexible and allow Instructors to teach either Pediatric First Aid, CPR AED or both. Students may also wish to consider the combination or blended class: AHA Online course plus the Classroom Skills & Practice course.